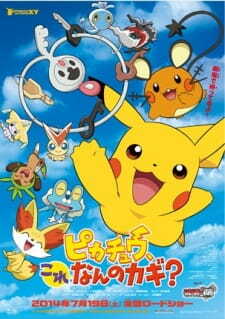 English: Pikachu, What's This Key? Synonyms: Pikachu, What Kind of Key is This?, Pikachu, Kore Nanno Kagi? A thrilling tale in which a group of innocent pokemon get sucked into a world full of keys only to find themselves trapped. Will they ever escape?